PUNE: A case of impersonation has been registered against a woman for allegedly lying about her caste and marital status while taking up the job of a cook during a ritual called ‘Sowala’ with a Brahmin family in Pune. Dr Medha Vinayak Khole (50), Deputy Director General (Weather Forecasting), India Meteorological Department (IMD), got the FIR lodged at Sinhagad Road police station. Police then booked the accused, identified as Nirmala Yadav, a resident of Samarth Complex, Raikar Mala, Wadgaon Dhayari. In her complaint, Khole, who resides with her advocate sister Varsha Khole at Sitapark society, Shivajinagar, stated that every year their family performs the religious rituals of ‘Sowala’, for which they require a female cook who is a Brahmin and ‘suvasini (married and husband is alive). In May 2016, a woman identifying herself as Nirmala Kulkarni allegedly approached Khole for this work. Khole stated that she went to Nirmala’s house in Wadgaon Dhayari for inquiry. Nirmala had then allegedly told Khole that she is a Brahmin and “suvasini”. Since then Khole has been calling Nirmala to cook at her house during religious rituals. Nirmala reportedly also cooked at Khole’s house during the Ganesh festival in August last week. The Khole family reportedly paid Nirmala Rs 15,000-20,000 for her work since May 2016. According to the complaint, Khole got to know from their priest that Nirmala was not a Brahmin. So Khole went to Nirmala’s house around 8.30 pm and questioned her about her caste and marital status. Nirmala then allegedly told Khole that her surname was Yadav and not Kulkarni and that she was not a “suvasini”. This led to arguments between Khole and Nirmala. Khole alleged that Nirmala abused and manhandled her. Khole went to the police station to lodge the complaint against Nirmala, alleging that she had hurt their religious sentiments. Police sources said they tried to convince Khole against registering such a complaint, but she was adamant. Nirmala was booked under Sections 419 (cheating by impersonation), 352 (punishment for assault or criminal force otherwise than on grave provocation), 504 (Intentional insult with intent to provoke breach of the peace) of the Indian Penal Code (IPC). Assistant police inspector Jyoti Gadkari, who is investigation the case, said, “An FIR has been lodged on the basis of allegations made by the complainant. Further action will be taken as per the outcome of the investigation.” When contacted, Khole told pune-news.com that she would talk about the case in some time. 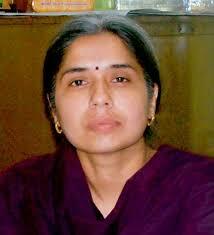 Khole still holds her post at IMD, Pune, but is known to be on leave for over a year.